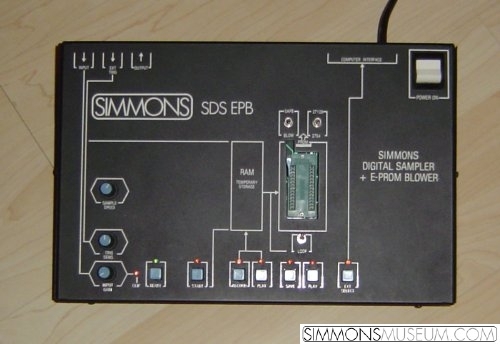 The sound sources of the digital Simmons products like SDS1, SDS7 and later the SDS9 where so called Eproms. Tiny chips containing digitally sampled drum sounds. Since these factory sound library were bread and butter sounds, not bad but also not spectacular, it was obvious to supply the customers with a unit which put drummers in the position to sample their own sounds. The EPB was able to record 64K and 128K eproms, nice for percussive sounds but a little to less memory for e.g. cymbals, but, well, we're talking about 1984! 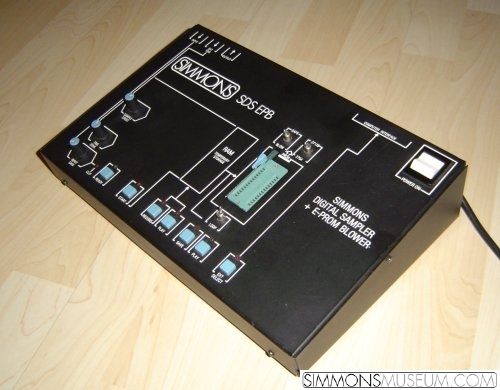 A pretty cool device at a time when Simmons ran the risk to miss the connection to the rest of digital drum vendors.